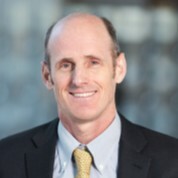 Timothy G. Evans Tim Evans is the Senior Director of Health, Nutrition and Population at the World Bank Group. From 2010 to 2013, Tim was Dean of the James P. Grant School of Public Health at BRAC University in Dhaka, Bangladesh, and Senior Advisor to the BRAC Health Program. From 2003 to 2010, he was Assistant Director General at the World Health Organization (WHO). Prior to this, he served as Director of the Health Equity Theme at the Rockefeller Foundation. Earlier in his career he was an attending physician of internal medicine at Brigham and Women’s Hospital in Boston and was Assistant Professor in International Health Economics at the Harvard School of Public Health. He is a board member of a number of international health alliances. Tim has been at the forefront of advancing global health equity and strengthening health systems delivery for more than 20 years. At WHO, he led the Commission on Social Determinants of Health and oversaw the production of the annual World Health Report. He has been a co-founder of many partnerships including the Global Alliance on Vaccines and Immunization (GAVI) as well as efforts to increase access to HIV treatment for mothers and innovative approaches to training community-based midwives in Bangladesh. Tim received his Medical Degree from McMaster University in Canada and was a Research and internal Medicine Resident at Brigham and Women’s Hospital. He earned a D.Phil. in Agricultural Economics from University of Oxford, where he was a Rhodes Scholar.